Lean thinking places a focus on the customer and on the gemba. These are two great sources of information for innovation, increased revenues, and problem solving. The way to gain more insight from customers and from the gemba is to be a better listener. This week there was some good practical advice on how to be a better listener in an article in Scientific American. Here is some of that advice, renumbered to what I think is the correct sequence. 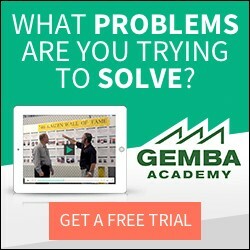 The notion of checking assumptions can be extended to the customer or people on the gemba who you are listening to, by saying, “I’m hearing you say X, is it correct to understand that you are assuming Y is true?” This requires developing genuine interest in what the other person has to tell you. At the root of this is an attitude of “let’s find out why” rather than “let’s find who to blame.” Asking open-ended questions that move beyond yes/no answers is a sign of curiousity. 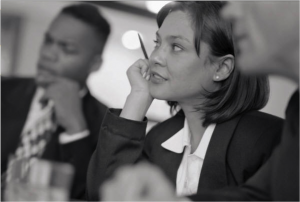 Using phrases such as “please tell me more about that” or composing questions using the 5W2H words (what, where, when, who, why, how, how much) helps build the habit to keep the dialogue open, avoid judgment and get to the root of issues. #5 Take notes. This may seem obvious. Some people find it hard to listen and write at the same time. If so, periodically stop to summarize and jot down the key points of the discussion so far. This shows respect to the other person, showing that you are listening, making visible where you are finding value and recording what you are learning for future use. #6 Say what you are learning. This is a good habit for no other reason than to make sure you area actually learning something. It’s a shame to walk away from a listening session only to realize that you learned nothing, gained nothing. If nothing is being learned, take the time out to admit this, check whether you are failing at the first 4 steps above, and approach the discussion from another way. #7 Check the process. Ask how how the person being asked feels about the process. Did they feel heard? Did they feel attacked? Were the questions fair? What other questions should have been asked? Oh, and step #0 is to set e-mails offline and any devices not directly involved in listening on silent and ideally out of sight. The list could, no doubt, go on. What have you found to be effective ways to become a better listener?